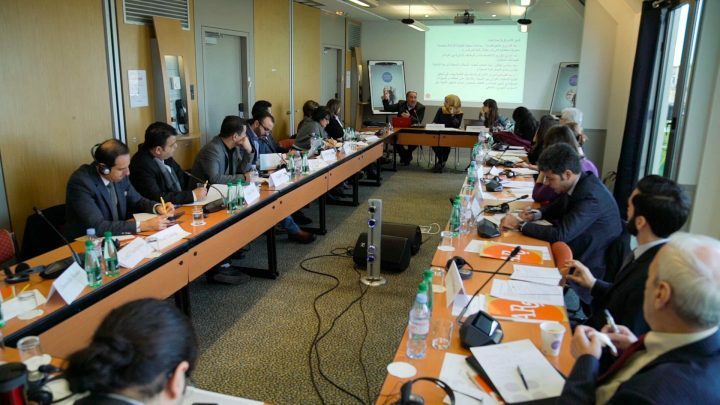 On 28 January, 25 researchers, academics and civil society activists met in Paris to examine research findings on decentralization processes in Iraq, Morocco, and Tunisia and draw on lessons learned to inform the discussion on a model for decentralized governance in Syria. The seminar was organized by the Arab Reform Initiative as part of its project, Transitioning to Decentralized Governance, with the support of the Open Society Foundation (OSF). The project aims to identify the need to create or reform national institutions to enshrine the rights of all components of society and builds on the patterns of governance that have emerged at the local level in different contexts, including war-torn societies. Participants focused first on the motivations for decentralization in Iraq, Morocco and Tunisia, the implementation challenges it faces, and the extent to which reforms were effective in improving economic development, service provision, and participatory democracy. The discussion also addressed the complexities of the Syrian case and outlined possible decentralization models for Syria. The focus was on decentralization processes at the political, economic, administrative and security levels, and the extent to which they would be necessary and feasible in the transition period. In addition to the need to redefine Syrian national identity ahead of discussions on governance, political and administrative decentralization through constitutional reforms was identified as a priority to prevent a return to heavily centralized government. Recognizing the complexity of the issues at hand, the overall agreement was that extensive decentralization or what could be labelled “democratic decentralization” would offer a safe path towards a political solution that preserves the integrity of Syria. - Sequencing the different steps towards decentralization, particularly in the transition period, where decentralization should be accompanied by reforms that increase accountability of local and state actors. The conference report and the papers discussed will be published in March 2019. They aim to inform public and policy debates on the current challenges and prospects for decentralized governance in the Arab region and more specifically the constitution drafting process as the beginning of the transitional period for Syria.